K is for the Known World. 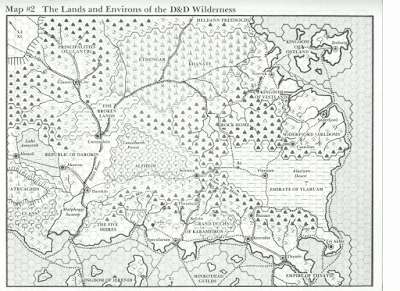 Long before the game world of the D&D BECMI sets was called "Mystara", it was simply "The Known World" of the D&D B/X sets. I posted some history here, but for me the best and first Known World module was X1 Isle of Dread. I am going to wait though and detail that one on X day. 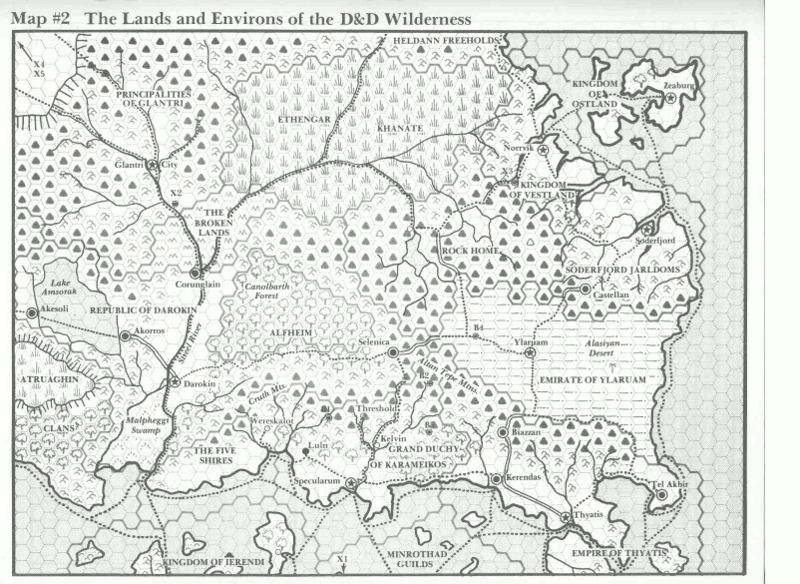 Back in the early days of the 80s we didn't have a developed campaign world like Greyhawk if you played B/X D&D. That is until the Expert set came out and teased us with the maps of the Known World. We took these little tidbits of the world and we built our own. That is one of the reasons why my Glantri is a Theological Oligarchy but the official one is a Magecracy of Principalities. This was my home for much of the early 80s. Building worlds, trying to fit square pegs into round holes. Buffing out the rough spots. The world that grew out my experiments in the Known World was later something that the Internet had already named; Mystoerth. Now my kids are exploring this world and there are still new things to be found. In some ways I would have liked to have created a world whole cloth then I'd have something to publish today. But in truth I rather like my hodge-podge mix of various pieces of other worlds. I can relate to the Mystara folk and the Greyhawk folk. If need a new area figure out, I grab something from my shelf. That is the best thing about these adventures. There are always more and more places to have them. I didn't play D&D. Not sure why. Probably because I didn't have friends who didn't play it either. I know more about the Hollow World than the Known World. As someone who came to this style of gaming through the OSR, Mystara has long seemed like the quintessential old school setting to me. Maybe it's the Basic street cred. Brilliant job. Congrats for being up to date with your challenge posts.